It’s not just residential homes that need waterproofing for their decks. Apartment complexes, hotels, pools, and other properties can make the most of commercial waterproofing of their outside structures. Are you a property manager or an owner? 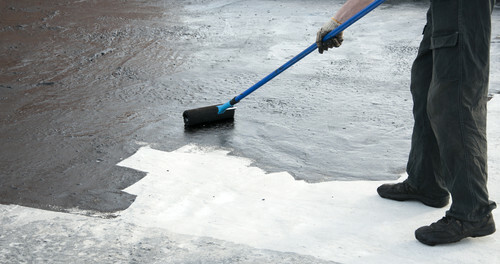 Then this article might be helpful in showing you the benefits of a commercial waterproofing service. Trust is what makes a business successful. They have to ensure that their clients are safe while on their premises. The structure in your building should be sealed so it can withstand the test of time and keep them secure and safe for everyone’s use. Let’s go over the importance of waterproofing the above structures below. There is structural integrity and there is the need to waterproof your commercial property to prevent or mitigate events that can result in accidents and potential lawsuits. Dampness can rise in the garage. It can seep through the walls and foundations and weaken them. It can also pose a health threat because the place becomes a breeding ground to microbes that cause asthma, among other health hazards. Water leakage in decks can damage their posts, beams, stairs, and railings causing the structure to deteriorate and potentially injure someone. The same goes with water intrusion in balconies that create a myriad of defects to the structure and its surrounding components. Health hazards and weakened foundations are just some of the possible implications. Pools themselves need to be waterproofed, and their surrounding deck must be protected too. Concrete can crack and can get bigger over time when damaged by other elements like rain and cold weather. Water seeps through these cracks and softens the soil that supports the pool deck. Walkways are not immune to cracks either as they are made of concrete. They too needed to be waterproofed. Water can still get into elevator pits because they are below grade. Flooding in elevator pits can damage their mechanical wiring/components. Sports floors are meant to be anti-slip and ought to be coated with specially manufactured material to be that way. Specialists use caulking and waterproofing materials to ensure that each structure is completely sealed of dampness, water leakage and any other potential hazards. The materials used will determine the useful life of the structure and hopefully extend its life. They have waterproofing systems for below or above grade outdoor structures. These solutions can work over concrete and plywood. Aside from coatings for decks and floor systems, sealants come in a different variety for every case that requires joints and bearings to be waterproofed. In fact, waterproofing and decking contractors have access to materials and technologies for every project that they undertake. Leave the work of waterproofing your commercial premises to experts, as they know how to take the correct precautions and can ensure the lifetime of your property is extended.